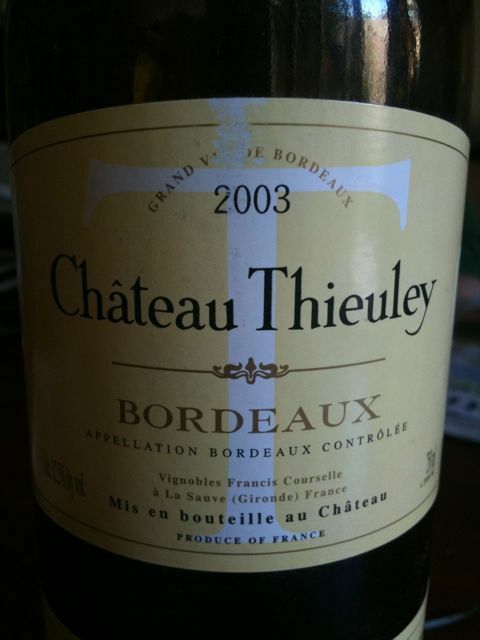 This is a good value but very minor Bordeaux made by a Professor of wine. In previous vintages I haven’t really had anything nice to say about it other than that it was cheap and not faulty. I bought the 2003 hoping that it might be substantially more concentrated by the hot dry vintage (I’ve since learnt that seldom really happens). At first I was a bit disappointed – a thin wine that still showed the dried out scorched flavours of 2003, but this last bottle (7 years old) is not bad, it has mellowed into something a bit interesting, mature, a tad burnt, but with more than enough acid. Interesting luncheon claret.